The Heritage on the Garden is an exclusive luxury building located in Back Bay, on the corner of Boylston and Arlington. Built in 1988, the building was developed by the Druker Company and designed by the Architects Collaborative. On the bottom floor of Heritage on the Garden are top designer retail shops and services, such as Hermes, Escada, Via Matta, Anne Fontaine, St. John, Sonia Rykiel, and Exhale Mind Body Spa. Above the retail shops are 84 highly sought after residences. Each residence at the Heritage on the Garden is truly one of a kind. Main rooms are completed with crown molding and custom built-ins. The elegant and modern design includes open space, floor-to-ceiling windows, and extremely high ceilings. The professional management staff on site will make sure that you are living leisurely and comfortably. Daily tea and coffee and Sunday brunches are served to residents. These daily offerings and events give you an opportunity to meet other residents and form a community. Other services, such as a 24-hour doorman, security, onsite library, and underground valet or self-parking offer you convenience and peace of mind. All the amenities you need are within walking distance from your home. Living across from the Boston Public Garden offers you easy access to outdoor space. 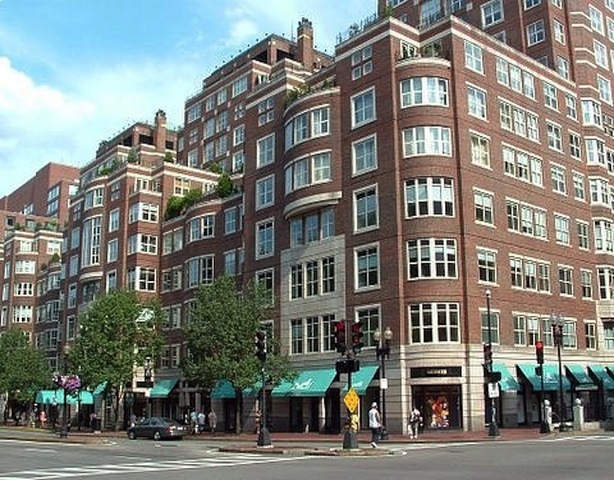 You are easily able to explore shops and restaurants in Back Bay, Beacon Hill, and the South End.